ndianapolis Metropolitan Police Department officers were called to the 2900 block of E. 34th Street just before 9 p.m. for a report of a person who had been stabbed and was not breathing. When officers arrived on the scene they found a person suffering from apparent stab wounds. That person was pronounced dead at the scene. Their identity has not been released. 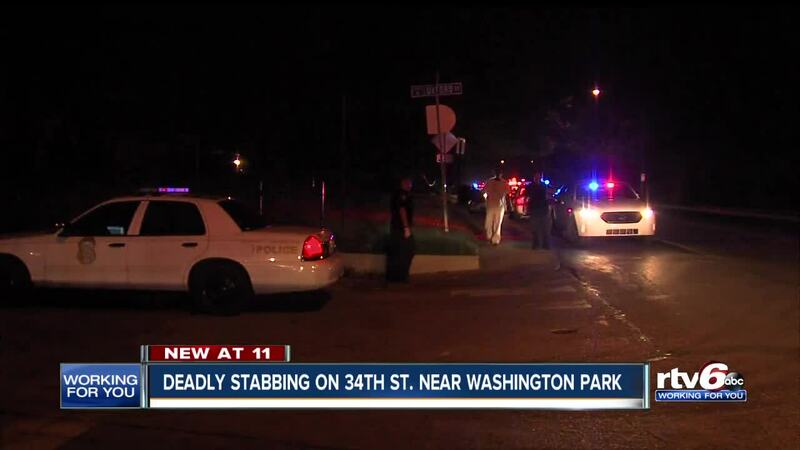 INDIANAPOLIS -- A person is dead after a stabbing on Indianapolis' northeast side Tuesday evening. Indianapolis Metropolitan Police Department officers were called to the 2900 block of E. 34th Street just before 9 p.m. for a report of a person who had been stabbed and was not breathing. When officers arrived on the scene they found a person suffering from apparent stab wounds. That person was pronounced dead at the scene. They have been identified as Gregory Hunt, 62. Police have not released any further details about the investigation and no arrests have been made.